With the iSCSI support in DSM, DS1813+ provides seamless storage solutions for virtualization environments, including VMware, Citrix, and Hyper-V. VMware vSphere5 and VAAI integration, DS1813+ helps offload specific storage operations and optimizes computation power for unparalleled performance and efficiency in VMware environments. It is the ideal alternative to SAN solution for businesses. Affordable and cost-effective, iSCSI allows SMB users to consolidate storage into data center storage arrays while providing hosts with the illusion of locally-attached disks. 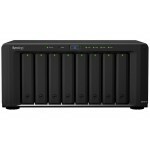 Put your data to work with Synology’s DS1813+. With Windows ACL and LDAP support DS1813+ fits easily into any existing workgroup environment, providing detailed access control and efficient privilege settings. 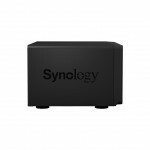 A wealth of SMB applications including printer sharing, VPN server, ERP software, mail server, web server, anti-virus, and network video surveillance, allows a single Synology DS1813+ to replace several pieces of traditional hardware and helps to maximize your productivity while keeping cost and effort to a minimum. In addition to superior performance, the DS1813+ is built for reliability. 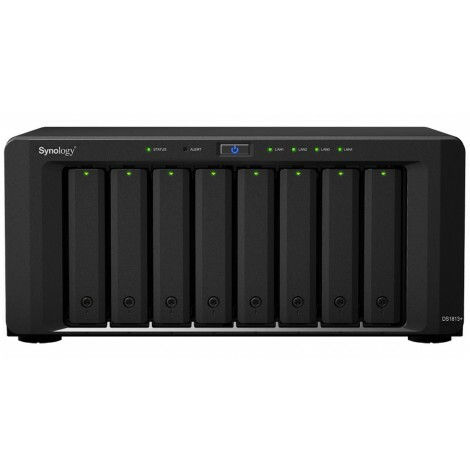 Four LAN ports provide redundancy in the event of unexpected hardware failure while hot swappable drives also help to minimize system downtime during drive replacement. Furthermore, passive cooling technology eliminates the dependency upon a dedicated processor cooling fan. Should a fan fail, builtin redundancy mechanisms will spin up functional fan(s) to improve ventilation. Uninterrupted availability is a critical goal for all businesses; however, many businesses worldwide still remain unprepared for disaster. 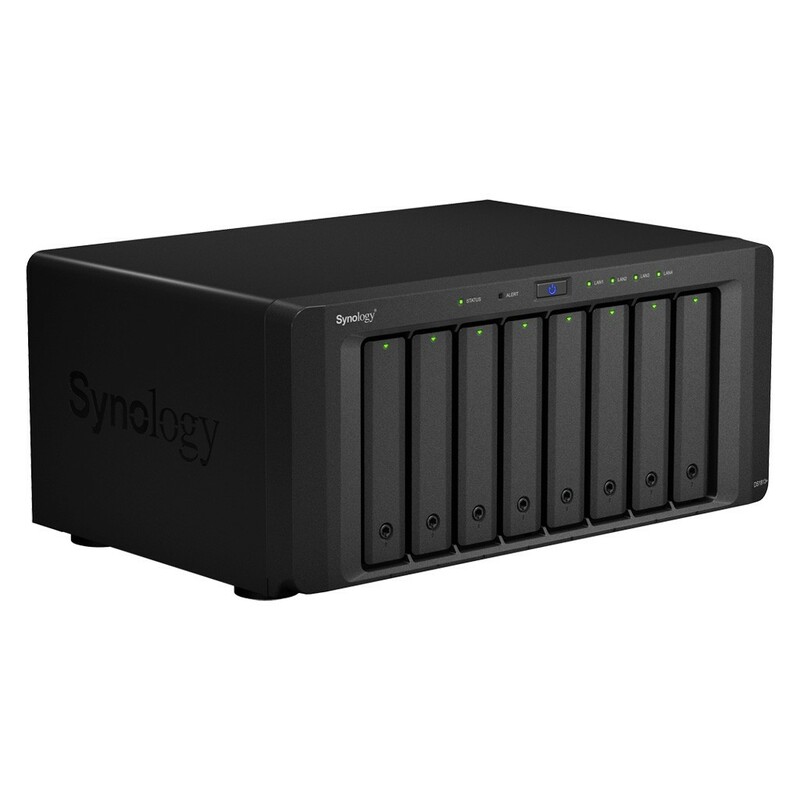 Synology High Availability (SHA) can ensure seamless transition between clustered servers in the event of server failure with minimal impact to applications to decrease the risk of unexpected interruptions and costly downtime. 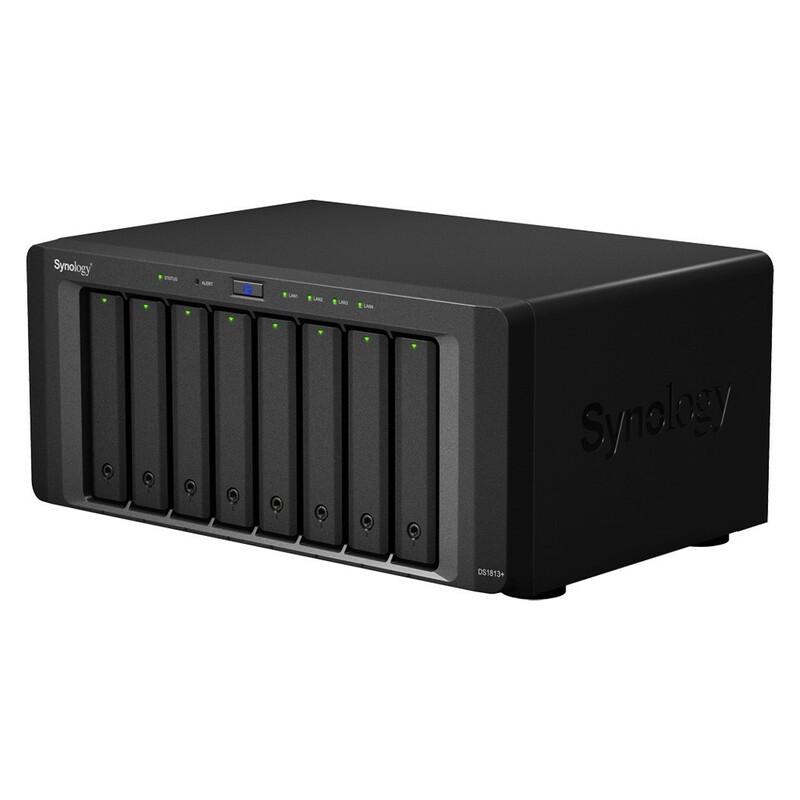 As your data storage needs grow, Synology’s DS1813+ can grow with you. 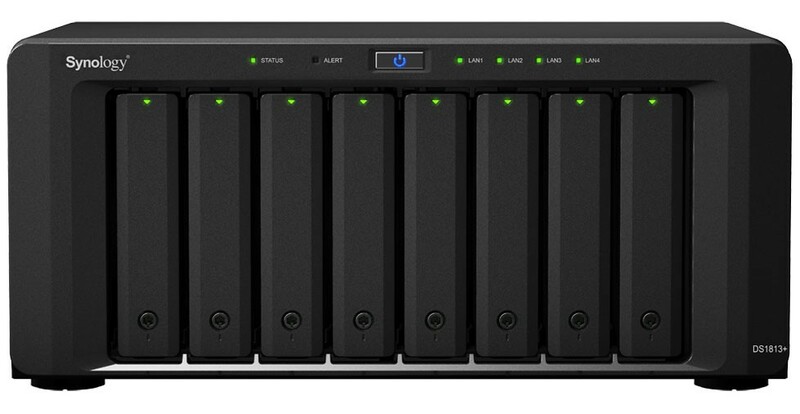 The DS1813+ can be connected to dedicated expansion units for additional storage on the fly, growing capacity with minimal effort. 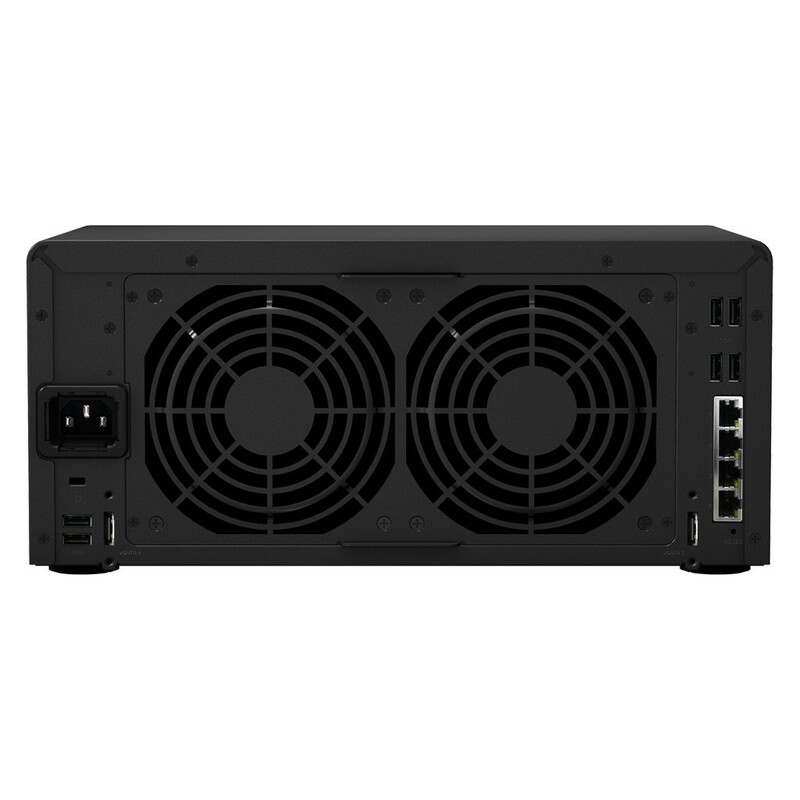 When paired with two DX513 expansion units2 through specially designed eSATA connectors, raw capacity can be as high as 72 TB. To protect your critical business data, DS1813+ can become a centralized backup target for consolidating fragmented and unstructured information across your network through a range of options. 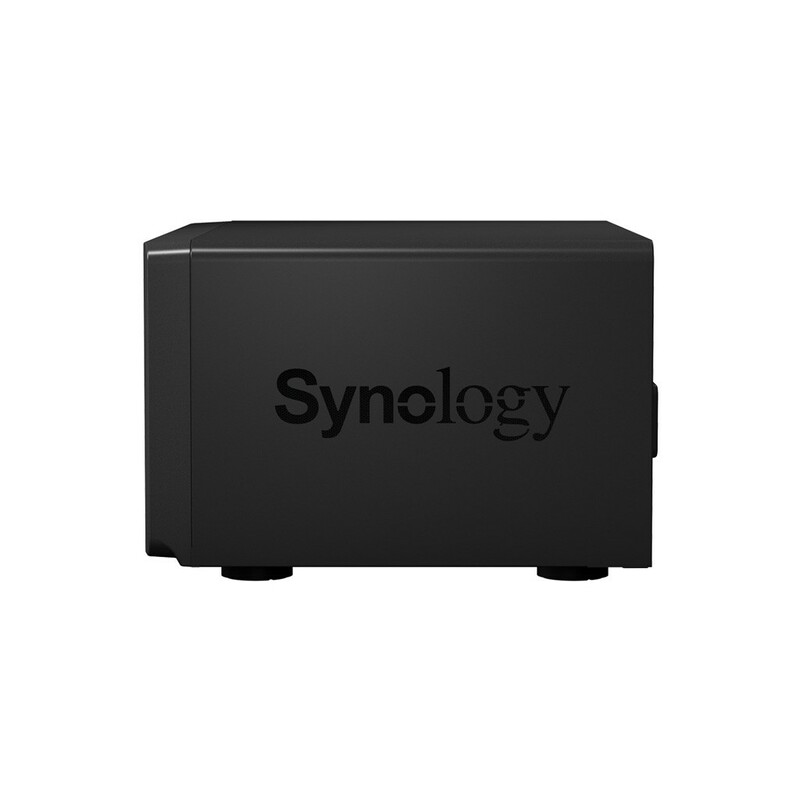 PC users can backup to DS1813+ with Synology’s Data Replicator, while DS1813+ also fully supports Mac OS X’s native Apple Time Machine. 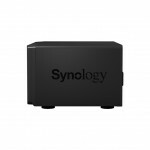 Synology’s own backup wizard can back up information to another Synology NAS or any rsync server, with the option of using an encrypted connection, or to an external hard drive via USB 3.0 or eSATA. The wizard can also back up your information to the cloud, including Amazon S3, Glacier, and STRATO HiDrive. 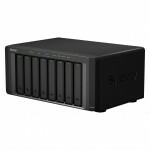 Synology DiskStation are designed and developed with energy efficiency in mind. 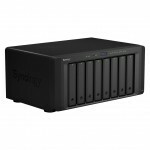 Compared with the average PC counterparts, Synology DS1813+ consumes only 75.19 watts in operation. Wake on LAN/WAN and scheduled power on/off features can further reduce power consumption and operation costs. HDD hibernation can be configured to take effect automatically when the system has been inactive for a specified period of time to save energy and extend hard disk life. All Synology products are produced with RoHS compliant parts and packed with recyclable packing materials. Synology acknowledges the responsibility of a global citizen and works continually to reduce the environmental impact of every product.